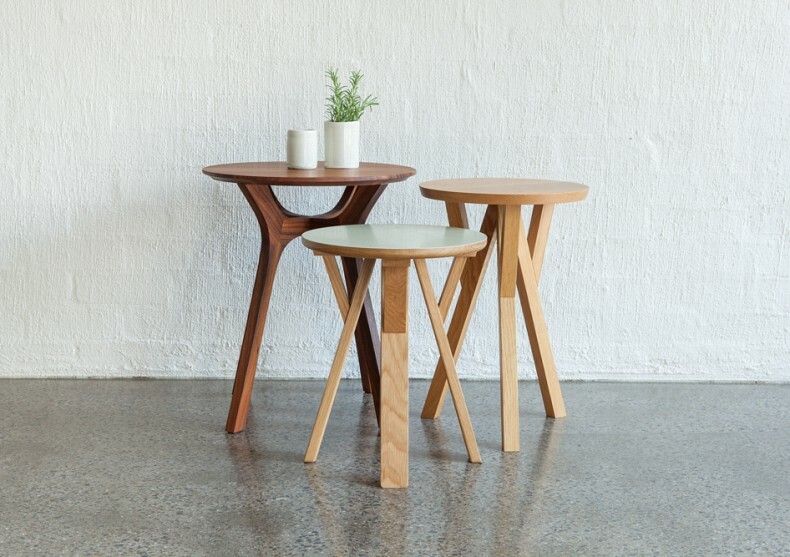 Hailing from New Zealand's Waikato region, furniture designer and maker George Harper has come a long way since his days spent working in the backyard shed on evenings and weekends. 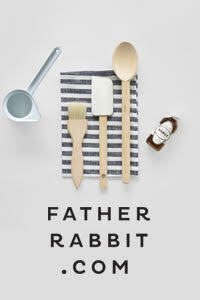 Residing in Melbourne where he runs his own furniture company TIDE, making the transition from office job to full-time study in order to hone his craft was a brave move, but one that has clearly paid off. 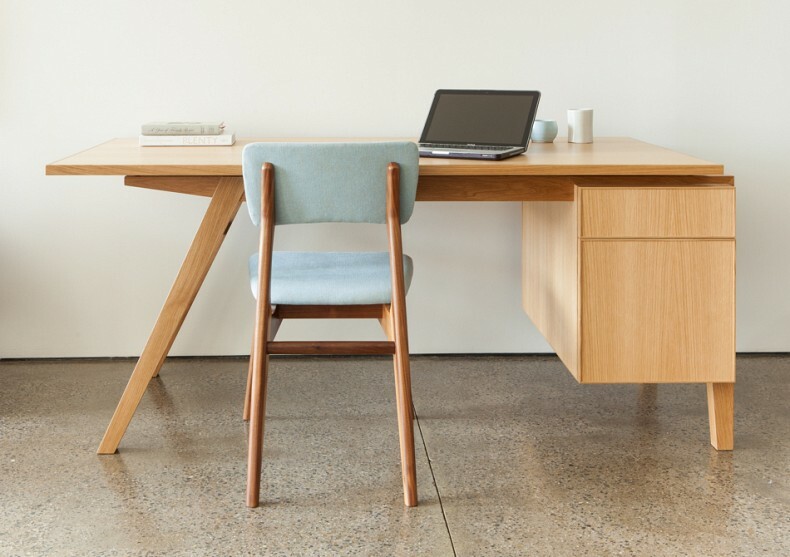 One look at the new TIDE website that launched last week, and I was drooling over his beautiful range of handmade, mid-century Scandi inspired furniture. Thank goodness George did give up the day job because there is no doubt that this is his true calling. You're originally from New Zealand. Where did you grow up? When did you move to Melbourne and what do you love about living there? Grew up in rural Waikato, spent a couple of years in London mid-90's and then on to Melbourne in 1999. Melbourne has a really vibrant, varied and supportive creative scene as well as proper pubs! It turns out that AFL is actually a pretty good game and of course there is a bigger market to tap into when trying to get something like TIDE up and running. 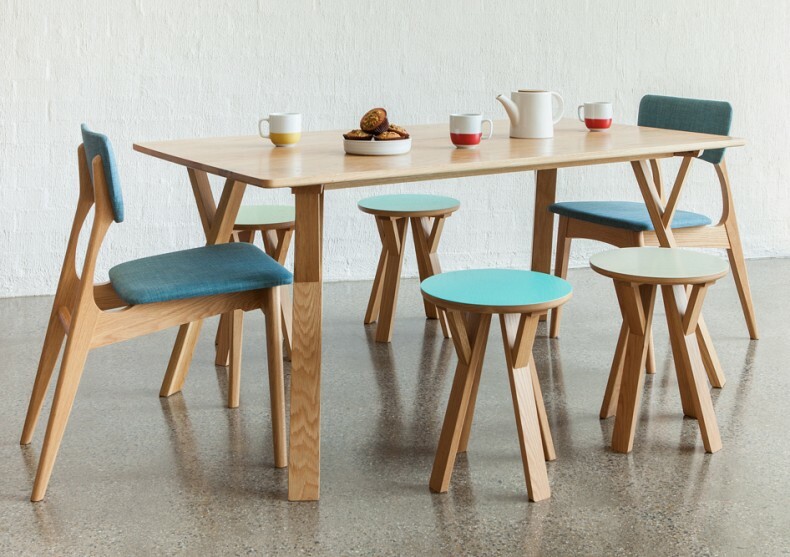 Can you tell us a bit about your background and the path that led you to becoming a furniture designer/maker and the launch of TIDE? Had an office career to 2006. 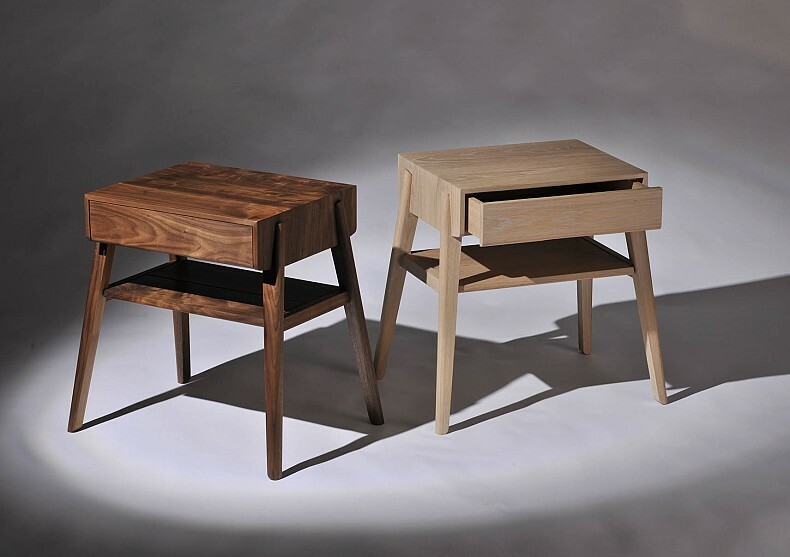 Started furniture-making at weekends a couple of years beforehand as a creative outlet (and for practical reasons i.e. needed a specific sized table that I couldn't buy 'over the counter'). 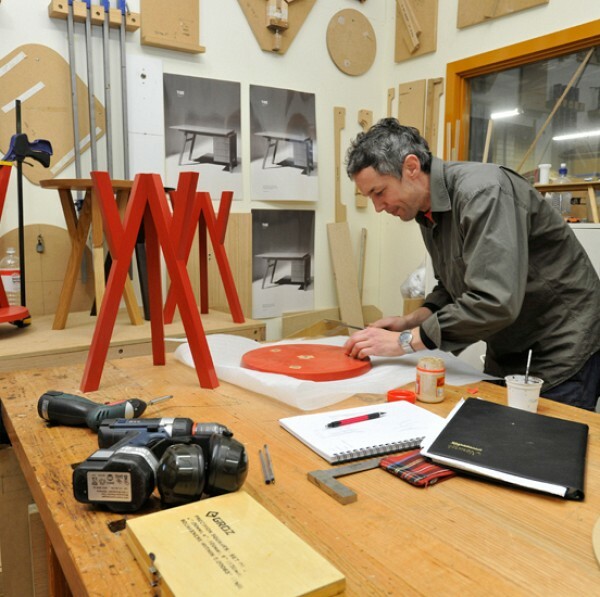 Had always had a penchant for being a business owner so at the beginning of 2007 left the job and went back to full time study - a two year diploma in furniture design and making. Set up TIDE mid 2007 to market the product (chopping boards at the beginning). 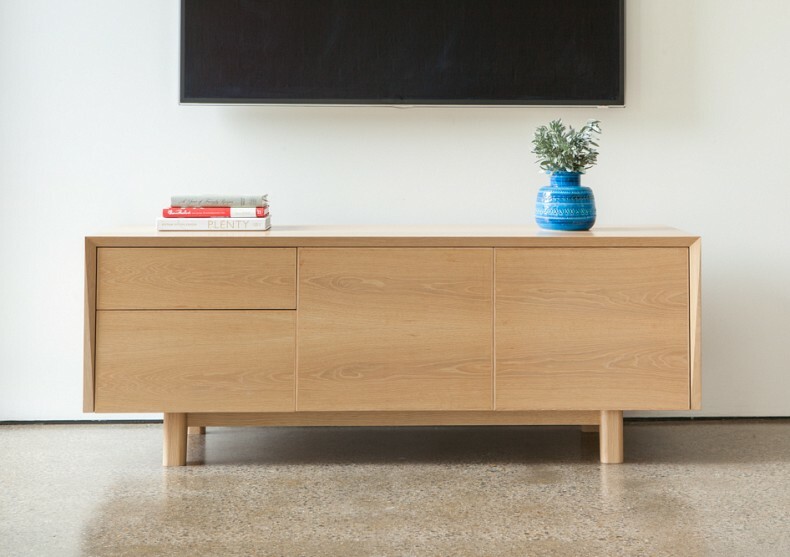 How would you describe your design aesthetic and the style of furniture you produce? 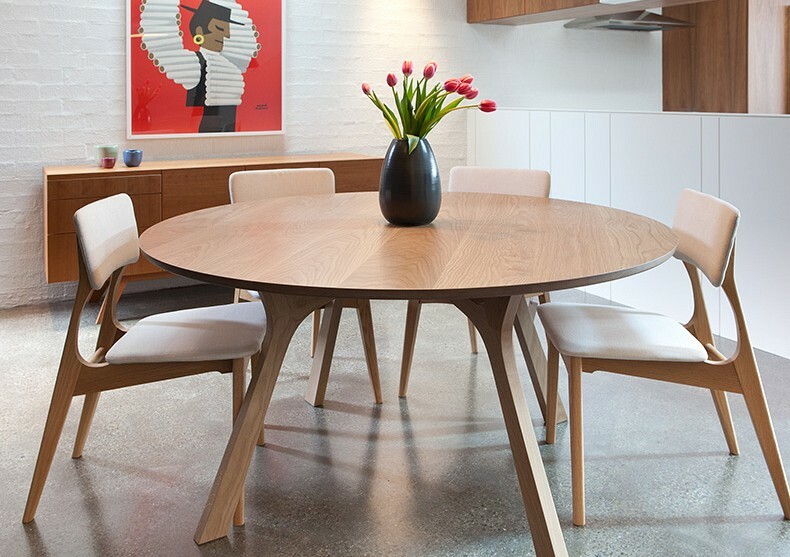 There are definite mid-century and Scandinavian influences - love the sculptural nature and character of design from that period, and the honesty, warmth and simplicity of Scandinavian design. Everything we come up with tends to have a light and elegant feel with clean lines, and we're big on detail and quality - we don't know any other way. What is your favourite piece from the current range? 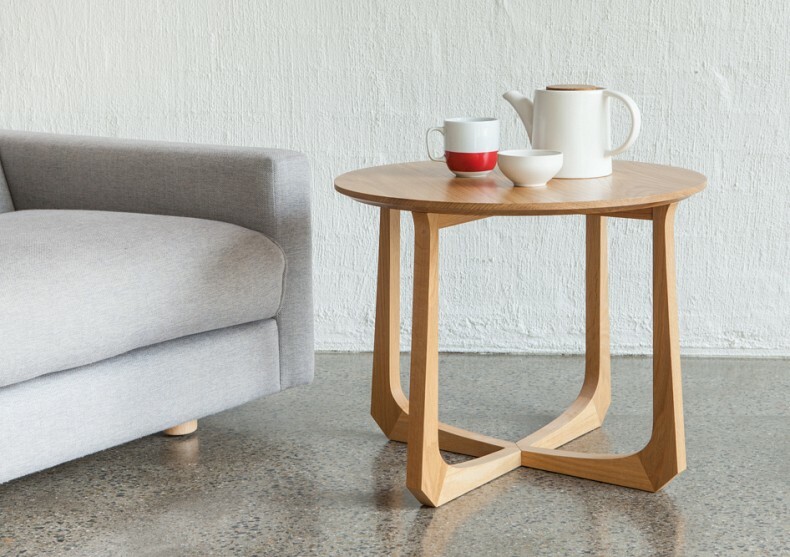 Has to be the new Tuki Side Table - mainly because it is the newest in the range! There were countless variations to this and so many hours spent on the details - but I knew the moment it was all resolved that we had it. Really happy with everything about it. 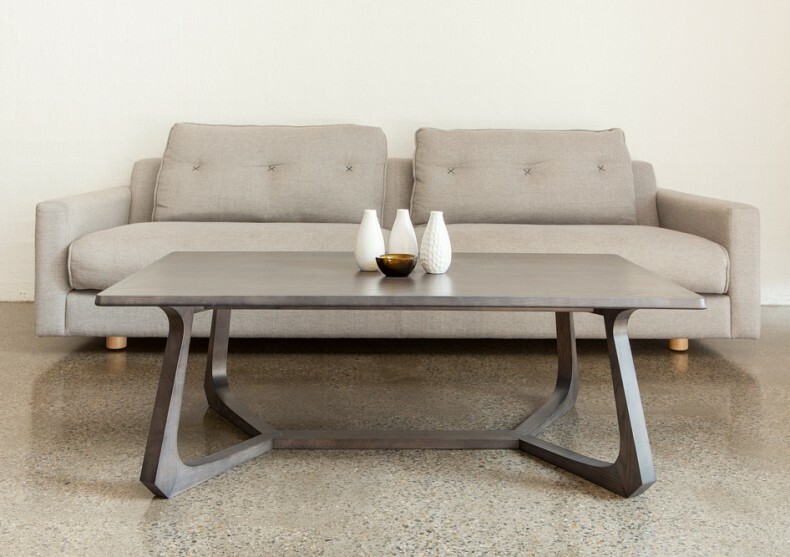 The Tuki desk, coffee table and dining table versions are soon to follow. Tell us a bit about how TIDE operates in terms of manufacturing. Is everything made on site? Do you employ other staff and what are their roles? 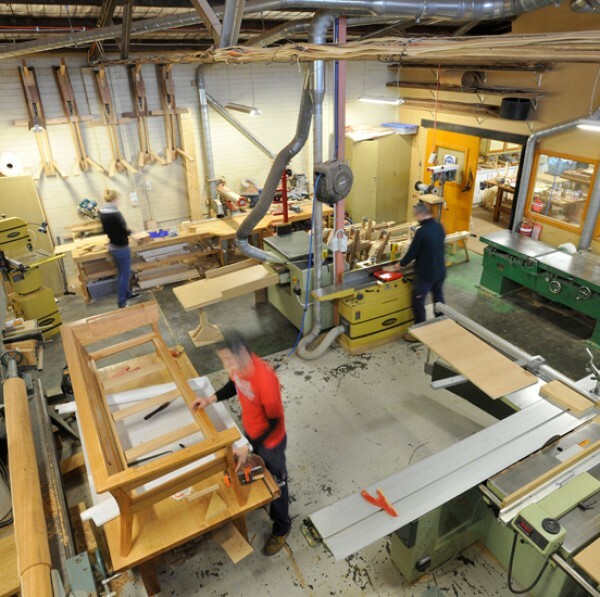 We do everything in terms of manufacturing on the timber side of things, and oil finishes. 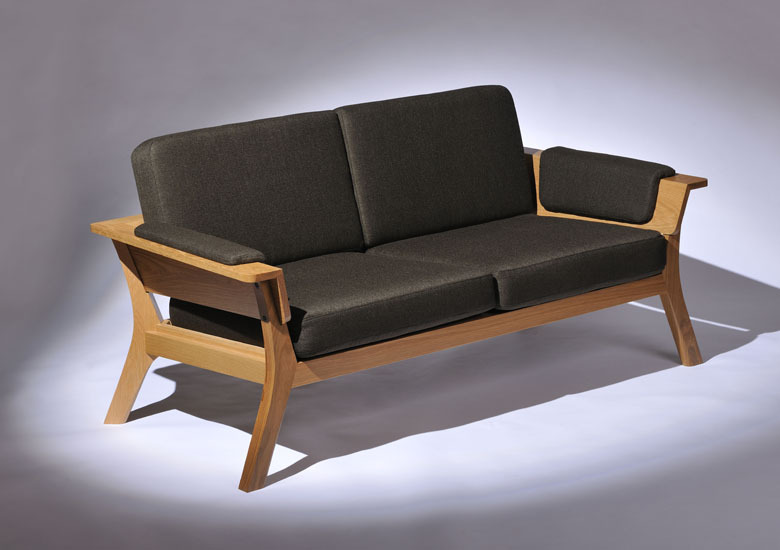 We outsource our upholstery work, spray finishing and steel fabrication. We have two full time staff on the production side of things and my partner Pia does a lot of marketing/graphical communication work and bookkeeping. I'm finding myself spending more and more time running the business and design/prototyping. 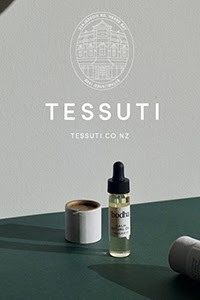 Where do you draw inspiration from - local or international design, the web etc? Inspiration comes from everywhere and anywhere. Could be an off-cut of timber and there is so much amazing stuff going on out there it's all around us - with the web making it all so accessible. Other than that it can be just pencil on paper grinding it out - to the middle of the night 'eureka' moment (although there is probably only a 10% success rate on those!). Oh and the TV series 'Mad Men'! 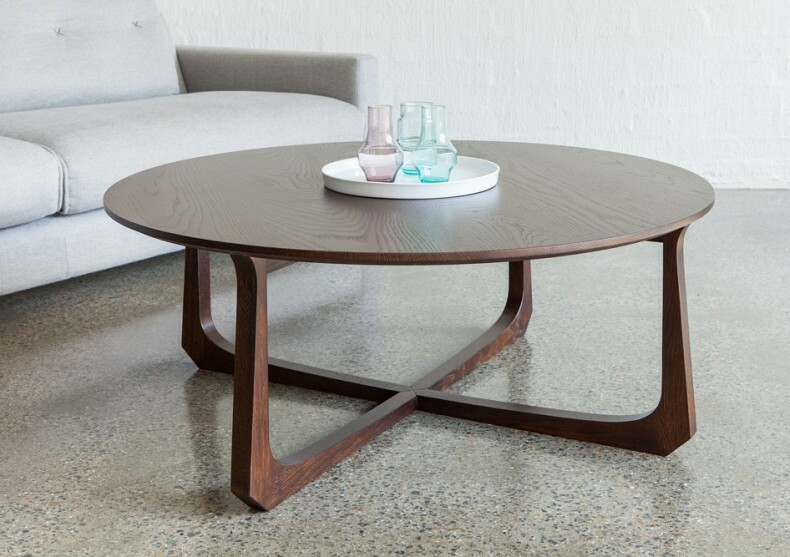 As above - Tuki desk, coffee table and dining table to be launched soon. A shelf/storage unit soon to follow too..
What advice would you give to other creatives who dream of going into business themselves? Be prepared for the ups and downs - it's a roller coaster ride. But the peaks and troughs do flatten out over time. And keep the faith - I've received that piece of advice many times over the last few years! Thanks so much to George for this interview. Hearing about the hours that go in to each new design and the commitment to detail and quality makes you appreciate the end result that much more, don't you think? I have to say I'm an even bigger fan now! 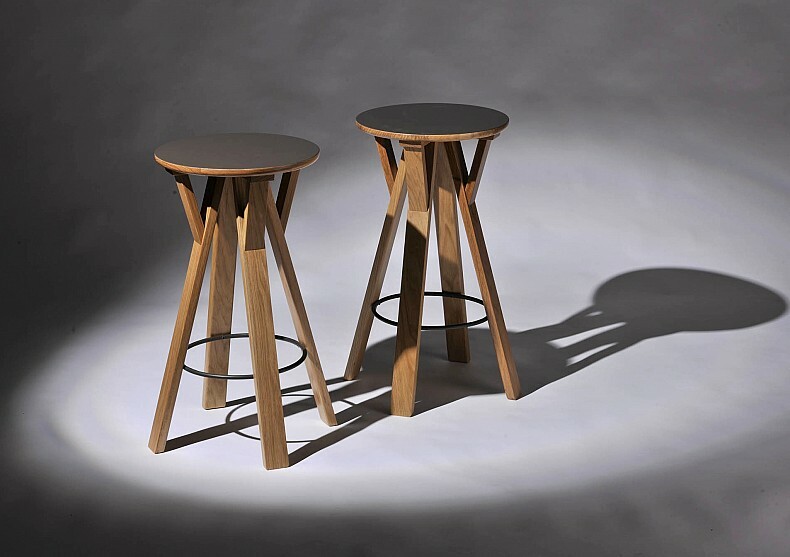 To see the full range of furniture, take a look at the TIDE Catalogue. 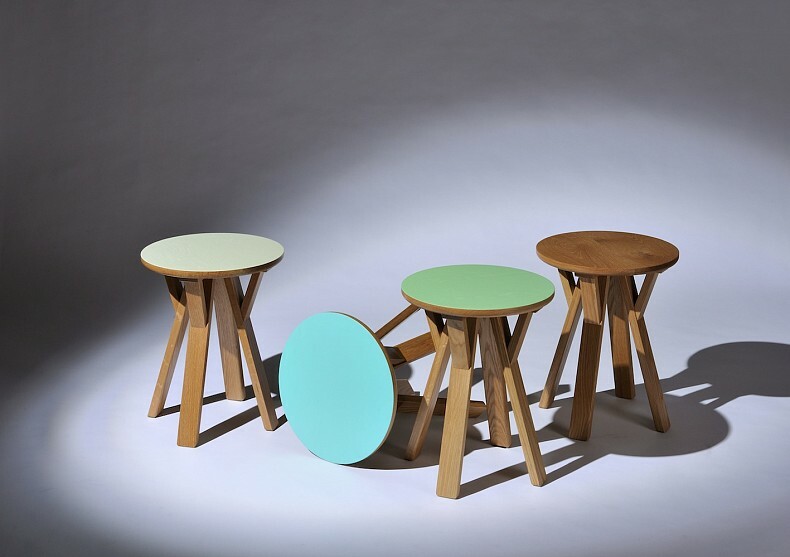 Each piece can be tailored to personal requirements in terms of size, materials and finishes. TIDE also offers a custom-made design service. For showroom hours and information on ordering pop over here. Selected TIDE pieces are also available from some stores listed here.